WE TAKE THE BUGS OUT OF YOUR BEETLE! Click Here to check out the complete Vintage Munks Service Menu! Come visit us during our service hours with your Vintage VW. All Services Include: Personalized Service, Unmatched Attention to Detail, & The Highest Quality Ingredients. If you love your bug or would like to, this comprehensive Inspection will put your mind at ease. When we say “we take the bugs out of your beetle” we mean it, and this is where it starts. This service includes lubricating every moving part of your car that we can reach, including your door handles, triggers, strikes, locks and hinges, cables and linkages, hood hinges and locks, and the front axle beam, and on convertibles, the top mechanism. After a thorough under hood inspection, we check compression, replace spark plugs, ignition points, set dwell and timing, then adjust your carburetor. We remove your rocker arm assemblies, inspect the adjustment screws and the valve stems then retorque the lower head studs, if needed, and adjust the valves. We replace your valve covers, reinstall them with powder coated ones, new gaskets and check for leaks. We check your tires and wheels, correct the pressure and feel the wheel bearings for adjustment and roughness. We then remove the brake drums and provide a written report of our findings. Repairs we do are guaranteed against defects for as long as you own your vintage VW. Naturally, normal wear and tear are not covered but you can sure that if we fix it, it’s done to last. At Munk’s We’ve Kept Volkswagens Cooking For 40 Years. In the heart of Oakland County you’ll find the Midwest’s most renowned Vintage Volkswagen Shop, Started in 1970 by Chris Braden, A.K.A. Chipmunk, out of his love for the VW’s and German engineering. “The Bug Shop” offers personalized service, with attention to detail and quality workmanship. Our first customers were family and friends, but the business grew beyond its intimate setting to satisfy clients from all over. Soon a new identity emerged and Munk’s Motors was dishing up four star repairs. In 1985 we were honored to be chosen the first Bosch Authorized Service Center in Oakland County. 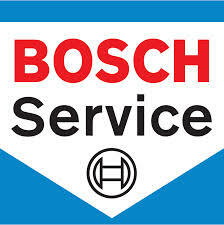 We are now the number 1 Bosch Authorized Service Center in Michigan. We are well known among our peers as VW EXPERTS. Chris, AKA Chipmunk, a VW tech since 1968, is an A.S.E. Certified Bug Meister. All technicians from Munk’s attend the Great Lakes Bosch Service Training Center. 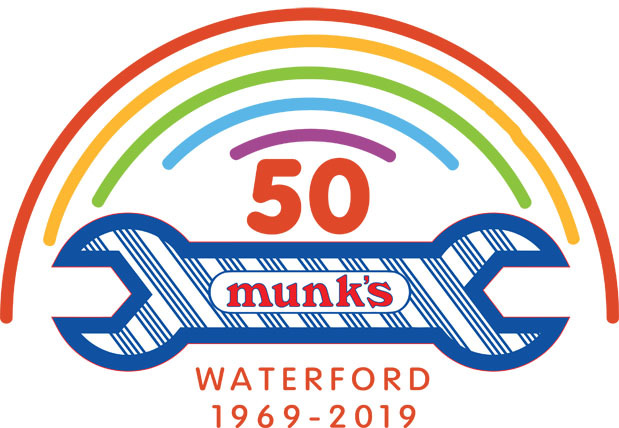 Vintage Munk’s features only the finest in parts and accessories with a lifetime labor warranty. The result is 40 years of tried and true recipes that keep customers coming back for seconds…thirds…fourths, etc.